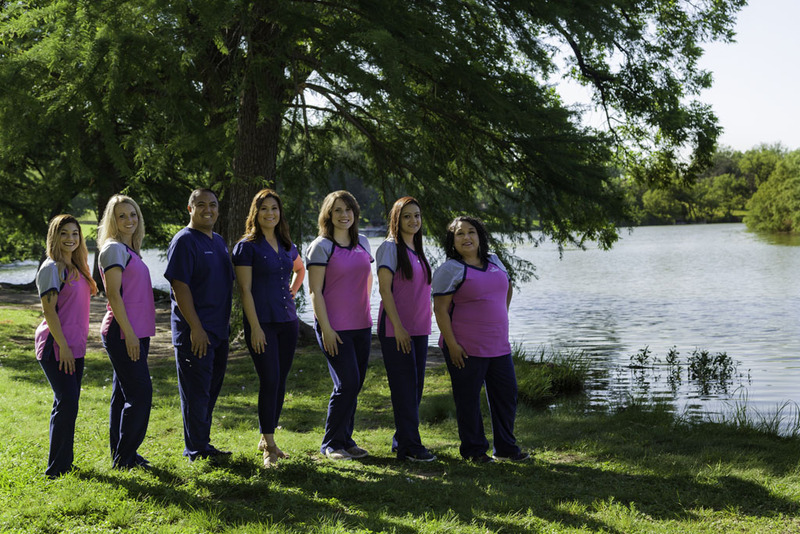 We have an amazing team with years of experience in caring for people just like you. Brandi is our Office Manager and hometown girl, having been born and raised right here in San Angelo, Texas. As Office Manager, Brandi oversees all the daily processes involved with the practice. 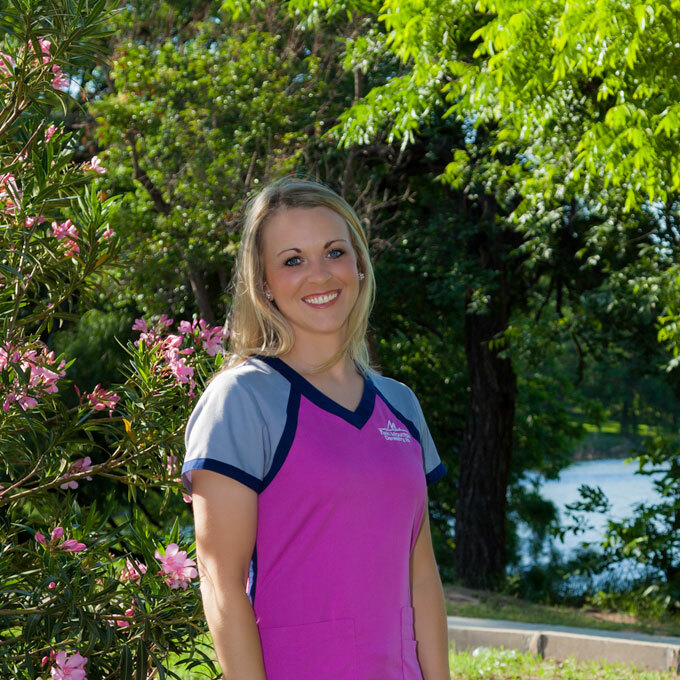 Most frequently, Brandi can be found at the front desk, genuinely welcoming patients as they walk through our door. Brandi is also a Certified Dental Assistant receiving her training at Sheppard Air Force Base, Texas while serving on Active Duty with the United States Air Force in 2002. Additionally, she is a member of the American Association of Dental Office Management and currently seeking her AADOM Fellowship to further distinguish her skills and leadership. 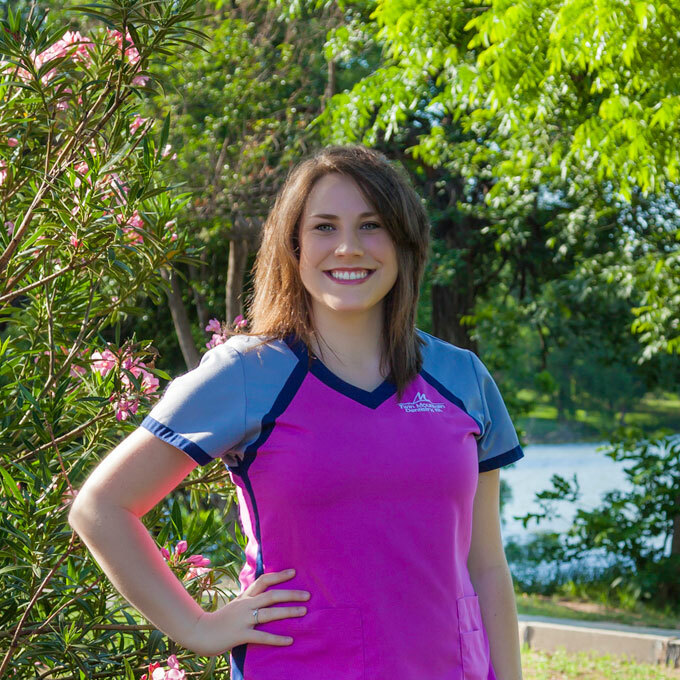 Away from work, Brandi enjoys watching her children participate in volleyball, softball, and Tae Kwon Do. She also has a love for interior design and traveling to new places. Brandi is the wife of Dr. Ochinang and proud mother of three, Kaleigh, Ramero, and Amarah. If you’d like to hear an interesting story, just ask Brandi how she and Dr Ochinang met! Genie is our Chief Dental Hygienist. Genie was born in Amarillo, Texas and raised along with one sister and three brothers in Happy, Texas. She earned her degree in Dental Hygiene at Howard College in Big Spring, Texas. 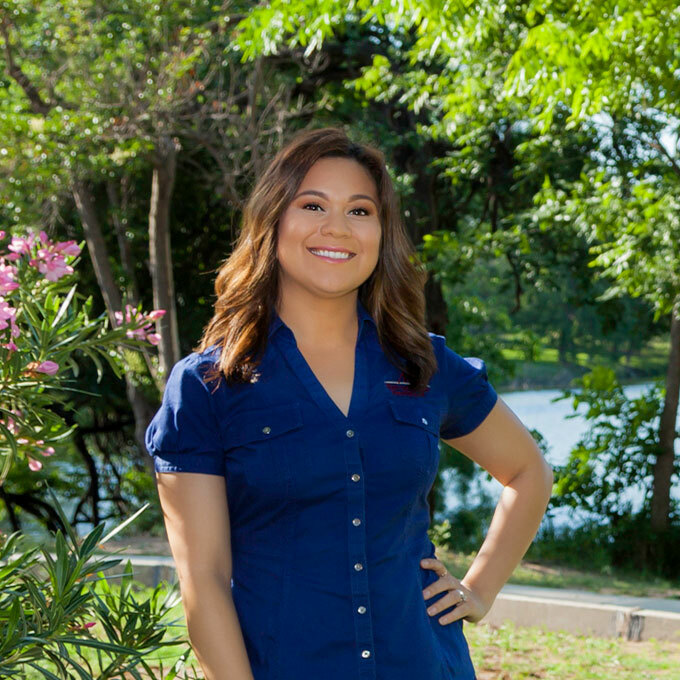 She is a member of the Concho Valley Dental Hygiene Association and certified to provide laser therapy for patients with periodontal disease. Genie takes great pride in offering the most thorough yet gentle preventive care available. Another aspect of the profession that she enjoys is the opportunity to educate her patients about daily preventative measures that can be used to decrease the likelihood of future problems. Outside of the office, Genie has a love for horseback riding and sewing her own unique clothing. Genie and her husband Josh have two adventurous little boys named Ransom and Rio. Rebecca (Becca) is our Chief Dental Assistant and wears the crown around the office as the E4D Queen! Becca was born in Lamesa, TX and raised in San Angelo. Becca’s personal difficulties with her dental health evoked her initial interest in dentistry. Becca received training in San Antonio and is additionally certified to design same day crowns and place dental sealants for our patients. Outside of the office, Becca loves to increase her knowledge pertaining to her faith as well as bond with her loved ones. Becca is compassionate, outgoing, and strong. These attributes together with her own obstacles regarding dental health, enable an empathetic and unique connection with her patients. When asked what she loves most about her job, she explains that she loves applying her personal experiences to help people overcome their fears and anxieties in relating to their dental treatment. Ella habla Español! 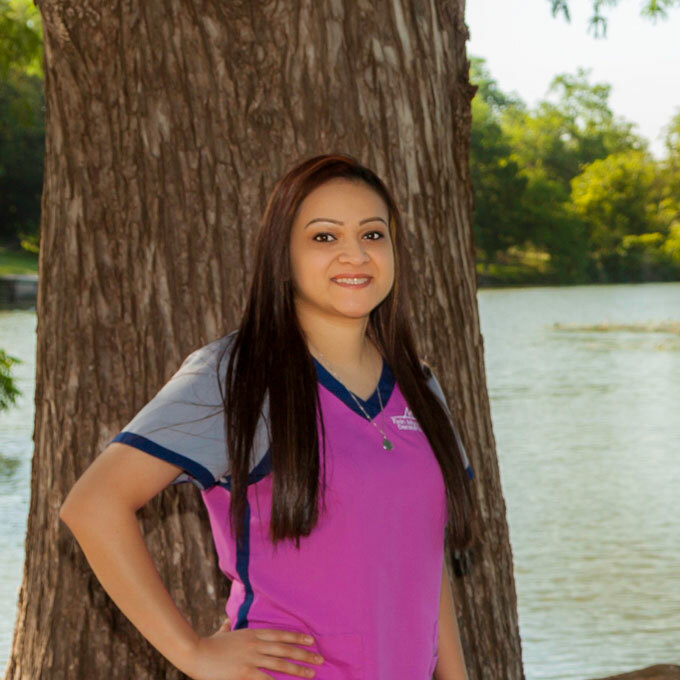 Sonia is our Insurance Coordinator and also a Registered Dental Assistant. Sonia was born in Cuidad Acuna, Mexico and grew up in Julesburg, Colorado. She is no stranger to the dental profession, having more than a decade of experience. When Sonia is not verifying insurance and helping patients maximize their dental insurance benefits, she can be found enjoying her favorite pastimes such as cooking and traveling. Sonia can be described as professional, forgiving, and kind. She enjoys explaining insurance coverages to her patients so they are able to fully take advantage of their dental benefits. In addition, Sonia is bilingual and great part of our team. Sonia has 1 son named Joe and 2 daughters, Sarah and Maggie. She also has 3 grandpups, Molly, Baby and Rocky. Shelley is one of our Registered Dental Hygienists. Shelley was born and raised in Brownwood, Texas. Shelley’s desire for a career which serves and makes a difference in the lives of others, inspired her passion for dental hygiene. Shelley received her training at Howard College in Big Spring. Shelley is also certified to provide laser therapy to efficiently treat patients with gum disease. When Shelley is out of the office she enjoys spending time her family, swimming, and fishing. Shelley is honest, loyal, and kindhearted. These character traits in addition to being gentle and understanding, help to make her an exceptionally remarkable dental hygienist and a wonderful asset to our team. 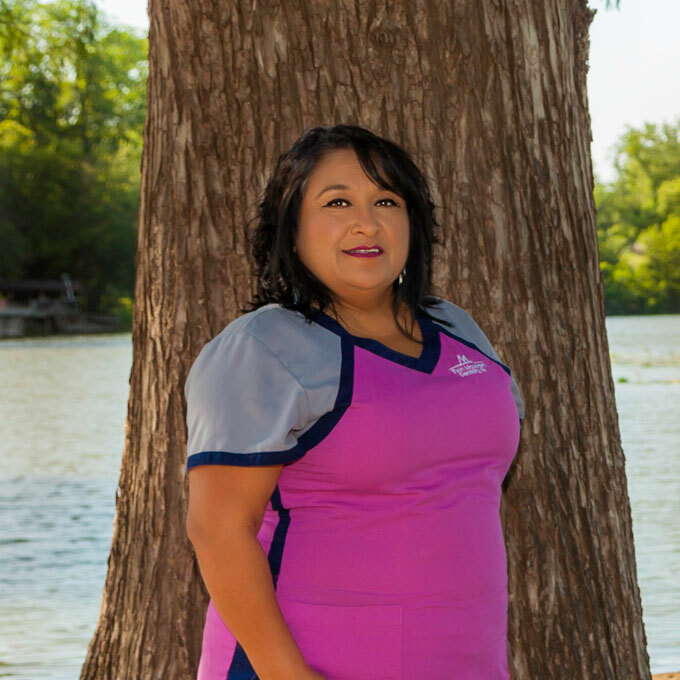 When asked what she loves most about her job, she expressed her happiness to help others improve their health through prevention and proper dental hygiene. In October 2018, Shelley and her husband Clint were blessed with the birth of a beautiful baby girl, named Addison. Celia is one of our Registered Dental Assistants. Celia was born in Lansing, Michigan but grew up here in San Angelo, Texas. Having previously worked in an assisted living facility, Celia was periodically exposed to dental procedures when dentists and dental assistants would come to care for the residents. These observations sparked her primary interest in the profession and led her to receive her dental assisting training in Abilene Texas. Celia’s favorite hobbies include sight-seeing and exercising. 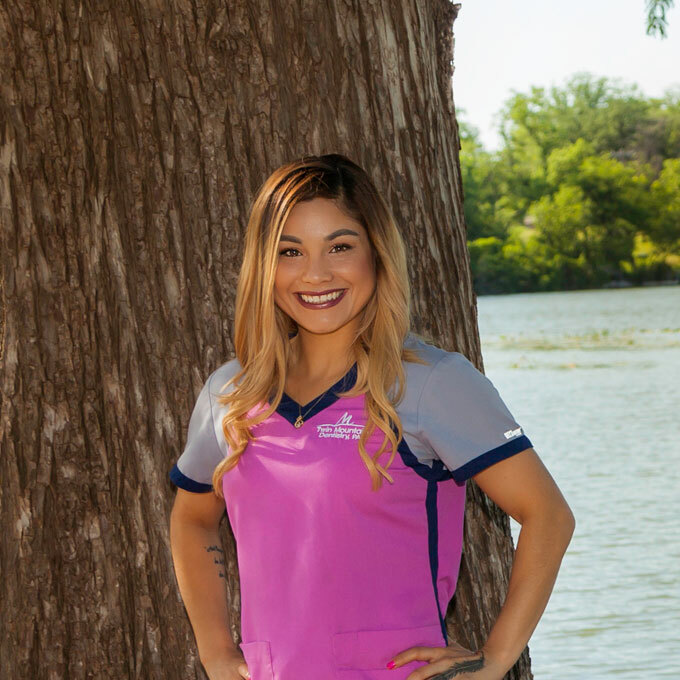 Celia’s ability to remain positive during adversity alongside her kind, free spirited, and loving nature compliment her ability to be a remarkable dental assistant. When asked what she loves most about her job, she mentions her joy and appreciation of interacting with her patients on a most compassionate level. Celia has one son named Luis and four dogs.